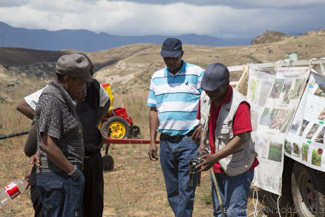 The work of Growing Nations is not confined to the project site at Maphutseng in Lesotho. 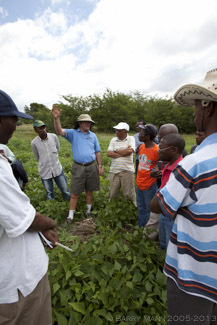 A key part of Growing Nations work is agricultural extension (training) with farmers in their local communities. 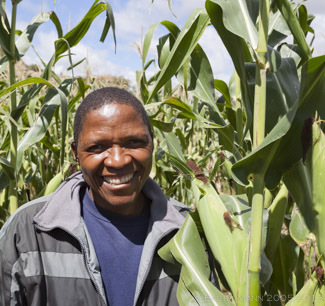 The Growing Nations extension team currently work in 37 communities throughout the Mohale's Hoek & Mafeteng regions of Lesotho and also provide support for 26 other core farmers who are practicing Conservation Agriculture(CA) across Lesotho. 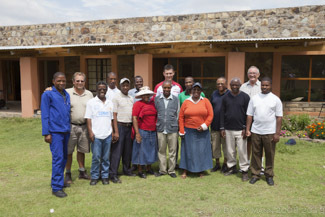 Over the years the Growing Nations Extension team has grown and now consists of a team of 10 individuals, 4 of whom actually live and work outside of Maphutseng. Each member of the team is responsible for lead farmers & farmer groups in different communities and they meet with them on a regular basis to ensure that they are equipped to not only implement themselves but to train others in their community too. 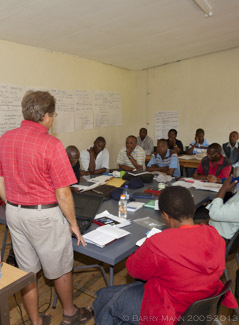 Growing Nations believe that the training of people in their communities is beneficial, enabling them to learn in their own individual conditions whilst also allowing the team to establish if there are any specific challenges that are faced by those communities and to provide individual solutions. 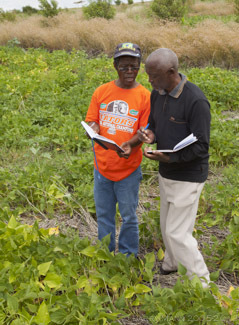 To further the 'multiplication' of CA farmers the team identify a 'lead farmer' in each community, who practices CA to a high standard and is able to train others around them. 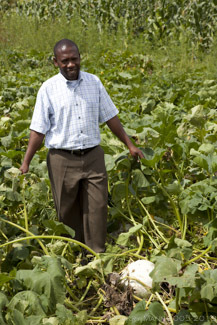 Once they have been identified the Extension team member spends time equipping, mentoring & discipling them so they in turn can lead & train the farmers around them. 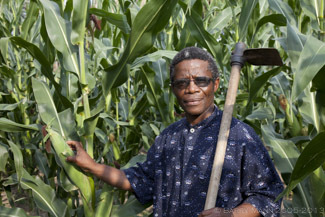 Another of the keys to the spreading of Farming God's Way CA methods is through farmer to farmer training which results in spontaneous adoption (farmers train farmers who train farmers, etc.) To encourage this the Extension team organise farmer exchange visits, allowing farmers in one community/area to visit farmers in another area to see good examples of CA. This promotes healthy competition & also provides a platform for discussions about challenges faced and ways in which they have overcome them. The team also run winter 'roadshows' out in communities to promote Farming God's Way. These 'roadshows' incorporate transformational development, helping people to gain a biblical world view, visual displays (photos & videos) of good/bad agriculture and again discussions on how and why Farming God's Way makes a difference to crop yields and food security. 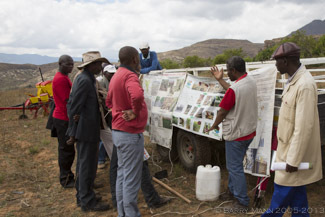 The extension team work alongside the government Department of Agriculture extension workers and other NGO's in the training and equipping of farmers & the promoting of CA within Lesotho. 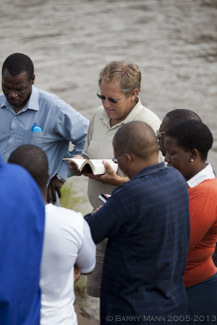 Historically the Growing Nations team has worked very closely with the LECSA (Lesotho Evangelical Church in Southern Africa) pastors and in 2008/09 & 2009/10 ran a training program with the pastors. 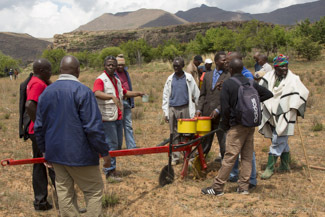 Some of the best lead farmers that Growing Nations work with in Lesotho today were trained as part of that program. These pastors/lead farmers are advocates of Farming God's Way in their own communities and have been responsible for the training of many others in their local area, resulting in many transformed lives. Growing Nations firmly believes that this is the best way of influencing others & spreading the CA message throughout Lesotho and is always looking for ways to continue equipping farmers within the church.